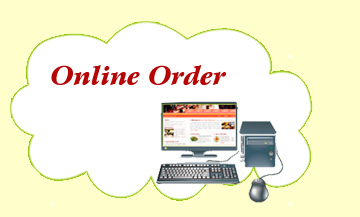 We are adding Online Order service to China Star Chinese Restaurant in White Plains, NY. You can now online order your favorite Chinese dishes such as General Tso's Chicken, Orange Beef or Fried Dumpling for take out or delivery in the White Plains, NY area. Located at 367 Mamaroneck Avenue, White Plains, NY, our restaurant offers a wide array of authentic Chinese dishes, ranging from traditional dishes such as Roast Pork with Broccoli, General Tso's Chicken, Shrimp with String Bean, to new style entrees such as Curry Jumbo Shrimp, Szechuan Bean Curd and Wonton in Hot Oil. Try our food and service today. Come in during our lunch hour for a Chinese Lunch Special or during evenings for a delicious dinner. You can also online order your favorite Chinese food for take out or delivery in the area of White Plains, New York. Our goal at China Star Restaurant is to provide an unforgettable dining experience for all our patrons. Copyright © 2008 . All Rights Reserved. Powered by E-Restaurants of chinastarwhiteplains.com.